Praeclara proudly announces four major shows to be presented during its 2018 – 19 season. 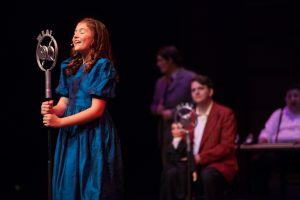 The productions include a whimsical musical based on the works of Dr. Seuss, a Christmas opera in English that expands on the story of the three kings following a star to Bethlehem, and a return to the British high seas of Gilbert and Sullivan with H.M.S. Pinafore. Each production showcases the top quality instrumental and vocal musical performances for which Praeclara is known. Photo credit: Ruby Reeves as Annie in Annie the Musical (2017). Photography by Kelly Hicks.